Like the striking starling murmurations that regularly dominate the city’s sky, so did the menswear fashion industry again descend upon Florence for Pitti Immagine Uomo, populating the streets around Fortezza da Basso with sprezzatura-practicing professionals. The 91st edition of the famous fair invited Paul Smith as special guest and Tim Coppens as menswear guest designer, two practitioners who share a similar outlook: both are concerned with loosening up tailored menswear and giving it a spring in its step. Paul Smith took that to a literal level when he launched his PS by Paul Smith autumn/winter 2017 collection by way of a dance performance at the Dogana. Acrobatics on and off bicycles, cloaked in a bold purple light, drove home the idea of ‘life-proof’ garments that are made for an active lifestyle: durable, lightweight, waterproof, reflective, breathable and packable pieces that are easy to care for, and, very obviously, highly yielding to move around in. The New York-based, Belgian designer showed women’s looks as well, voicing that he doesn’t feel the need to separate the two – they are part of the same brand story for him. All of the fabrics Coppens uses are Italian, and he makes a point of rethinking the tailoring with technical details that add depth to the silhouettes, like layered trouser cuffs that put emphasis on structure. Coppens collaborated with Mykita for the eyewear, and Under Armour Sports for shoes (the brand he’s currently helming as creative director). He created athletic, hi-tech ankle boots that contrasted with the layered looks, and which, despite their streetwear origins, felt mature and deliberate – especially the coats and jackets that mixed materials. The Pitti Uomo fair runs the gamut of new and established menswear brands, and this time anniversaries were being celebrated. Leather goods brand Furla showed its Modern Man collection while celebrating 90 years in business. 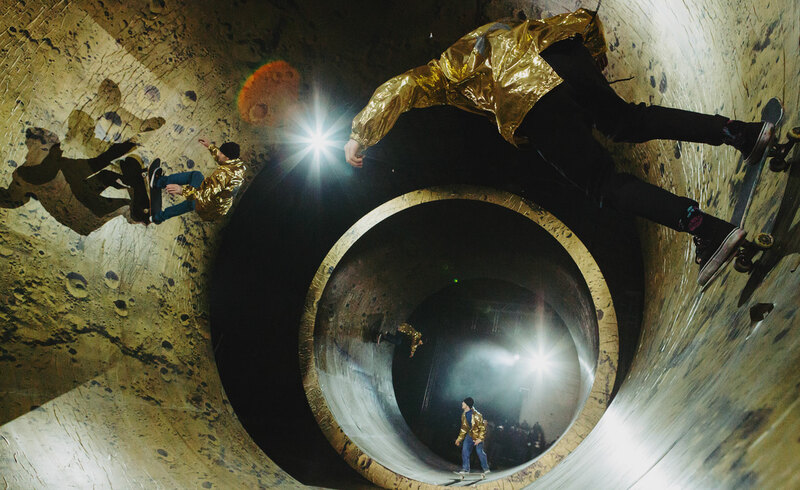 Golden Goose Deluxe Brand pulled out all the stops for the tenth anniversary of its iconic Superstar sneakers with a skate performance (above) on circular ramps covered in a photographic lunar landscape print. 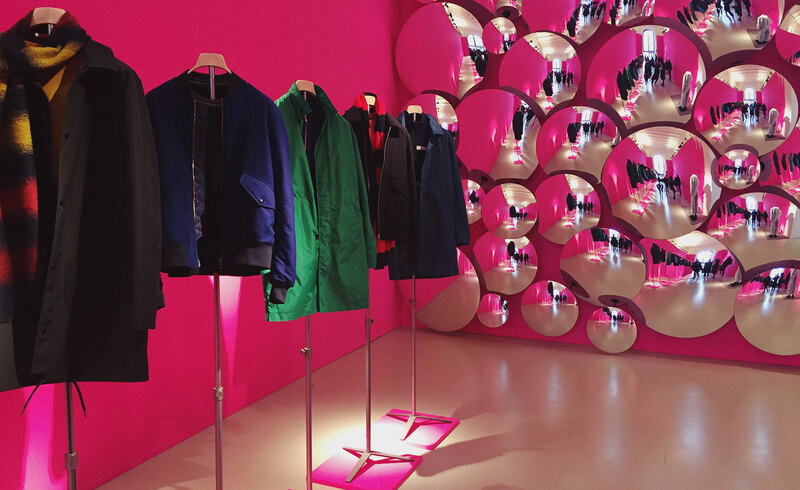 Outside the fort’s wall, at Palazzo Gerini, Kiton paid tribute to its founder Ciro Paone’s lifelong vision with an exhibition curated by the fashion writer and illustrator Angelo Flaccavento. Six rooms symbolised the values Mr Paone has built his brand around: from his family ties to his Neapolitan roots, via his vital passion for tailoring and his obsession with quality. Shaped into striking abstract installations, ‘Two or three things I know about Ciro’ does what Mr Paone has always reached for – giving his all, plus just that little bit more. Quality was ubiquitous, as can be expected from the country synonymous with the highest level of fashion manufacturing. Brunello Cucinelli displayed its collection against a backdrop of glass jars that illustrated the concept of alchemy: combining the finest leathers with soft padded down jackets and blending knit types and colours within single pieces. For his debut collection at Z Zegna, Alessandro Sartori explored retro colours within a functional skiwear collection, adding mustard yellow and faded burgundy to the brand’s classic sports repertoire, a theme consistent with other brands like Victorinox and Herno. At the latter, super thin and high-performing padded jackets drew loyal followers, with the Pierre Louis Mascia capsule collection prompting closer inspection as prints of floral embroidery proved a surprise element. Piquadro, a briefcase and travel items powerhouse, gathered its multi-pocketed tech design accessories (below) in all their multi-colour combinations. In addition to the Italian brands that take inspiration from the Alps, British houses Pringle and Margaret Howell put out their finest wools and cashmeres to suit the northern climes, with Thomas Pink drawing attention to the local production of their ties – it can’t get more quintessentially English than London Bridge as a manufacturing base. With the Renaissance city as a backdrop, brands have plenty of palazzos to choose from to showcase their menswear offerings, as Tommy Hilfiger did at Palazzo Corsini, where the best of the brand’s portfolio was showcased. 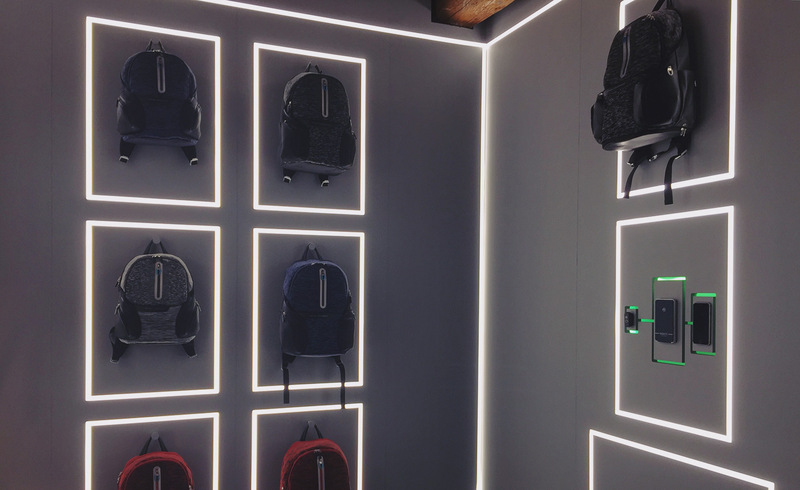 The space hosted a curation that cherry-picked from the brand’s sportswear and tailored lines, heavy on youth-culture-inspired check patterns that brought out the rebellious side of the American original. Equally grand as a venue was the Museo Marino Marini, where London’s Cottweiler presented their collaborative collection with Reebok. Characteristically for the conceptual label, below-ground vaults were chosen to show a collection that explored sci-fi spheres without veering into the insipid. Super light synthetic fabrics and sturdy neoprene did equal duty for a line that was fascinating in its performance quality but still delivered deceptively minimal athletic wear.